Akash International School is a co-educational, day, weekly and term boarding school offering education from Kindergarten to Grade 12. 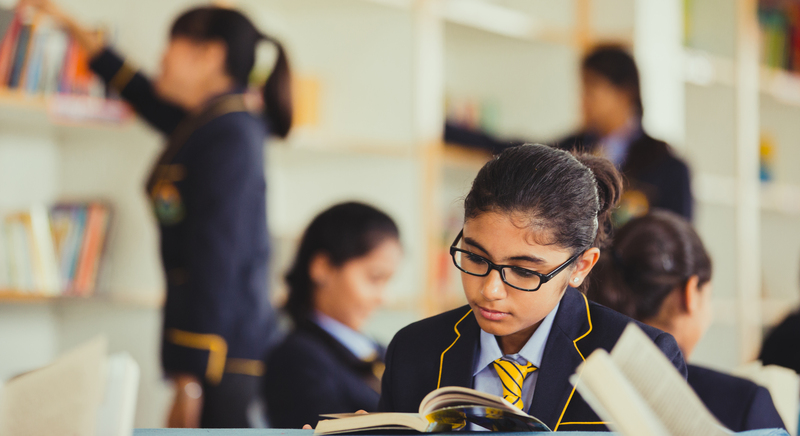 The school extends four rigorous curriculum options: Central Board of Secondary Education (CBSE), Indian Certificate for Secondary Education (ICSE), and The Cambridge International General Certificate of Secondary Education (IGCSE). Key examinations under CBSE include AISSE [All India Secondary School Examination] & AISSCE [All India Senior School Certificate Examination]. Key stages under CIE include the Cambridge Lower Secondary Programme, the Cambridge IGCSE and the Cambridge International “A” level. All lessons are delivered by facilitators who are specialists in their chosen field. Our teachers are skilled in presenting the challenging subject curriculum in ways that make it easier for students to learn effectively. Students aiming at furthering their education abroad and those preparing for competitive exams are provided adequate training and support. Students undergo an invigorating learning experience through a variety of contemporary learning aids and resources. Individual learning is supported through a series of enrichment classes and workshops. Teachers work closely with students in the classroom, and one-on-one in small groups outside the classroom, to support their English language needs in listening, speaking, reading, and writing. International education and experience make people aware that understanding the world is very much part of the requirement of education process. Enabling students to learn a positive but critical approach to problem solving, to think globally and to create responsible human beings utilizing international curricula, fully compliant with principles of student-centered learning. Imparting the Cambridge curriculum (CIE) succesfully and efficiently. With the ever growing demand for IGCSE and the demand from parents the school is launching for Grade 7 & 8 IGCSE CHECK POINT & GCE AS & A Levels providing Lab facilities for A Level programs with the right faculty who are trained to deliver the Cambridge programs as per requirements. CIE is part of Cambridge Assessment, Europe’s largest assessment agency and a department of the University of Cambridge. Cambridge Assessment was established in 1858 as the University of Cambridge Local Examinations Syndicate (UCLES), and celebrated its 150th anniversary in 2008. Cambridge qualifications are recognized by universities, colleges and employers across the globe.